The candidates can apply for the courses by directly going to the college website and downloading the application form and submitting it to the college by paying the application fees or by sending it through the demand draft. The candidates first need to check the admission notification and the eligibility criteria through the college website and apply for the courses by filling the application form and attesting the photograph and the photocopies of the required documents as stated for the admission in Bishop Heber College, Tiruchirappalli. 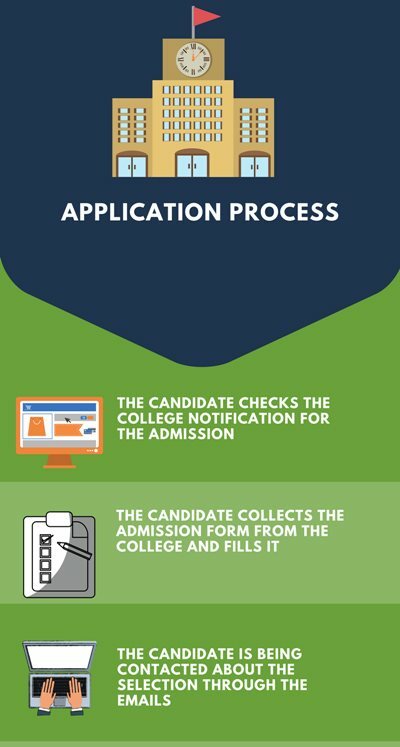 Once the application is over the college will contact about the further selection process and the application confirmation. The admission to all the courses except MBA is done on the basis of the eligibility criteria merit list and the admission to MBA courses is done on the basis of the performance of the candidates in the TANCET 2019 exam conducted by the center. 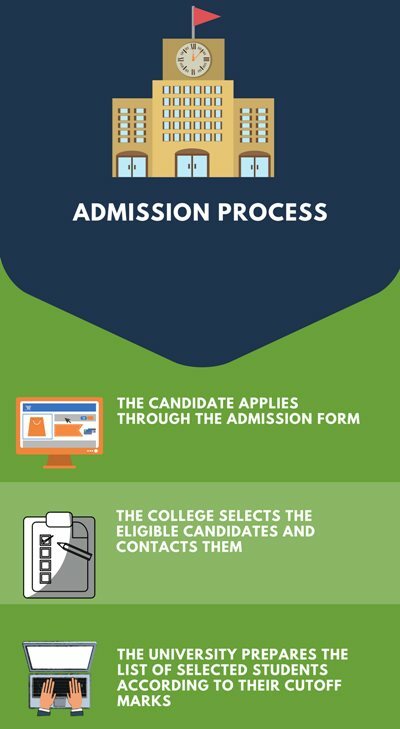 The college first releases the admission notification and the candidates check the eligibility criteria and submit the application form by paying the application fees for the admission in Bishop Heber College, Tiruchirappalli. The college then selects the candidates on the basis of the performance of the candidates in the eligibility criteria merit list and informs the selected candidates about the further counseling process through the Emails. Any candidate who has completed Graduation is eligible for the admission in the MBA courses in the for the admission in Bishop Heber College, Tiruchirappalli. The minimum eligibility is that the candidate must have cleared 10+2 from a recognized University with the minimum qualifying marks for the admission in Bishop Heber College, Tiruchirappalli. Any candidate who has completed 10+2 qualification is eligible for the admission in B.Com courses for the admission in Bishop Heber College, Tiruchirappalli in the year of 2019. The candidate should have completed 10+2 from a recognized University with the minimum qualifying marks for the admission in Bishop Heber College, Tiruchirappalli. The candidate's qualification is minimum of graduation from a recognized University for the admission in Bishop Heber College, Tiruchirappalli. The candidate should have a minimum eligibility of 10+2 from a recognized University for the admission in Bishop Heber College, Tiruchirappalli. The candidate should be a pass in M.Com from a recognized University for the admission in Bishop Heber College, Tiruchirappalli for admission in the year of 2019.
during the year of 2019. B.Sc in Biotechnology / Botany /Zoology / Any Branch in Life Sciences. Any candidate who has done graduation is eligible for the admission in the college in the year of 2019 for the admission in Bishop Heber College, Tiruchirappalli. The candidate should be a graduate in any discipline for the admission in the Pg Diploma courses for the admission in 2019. The eligibility for our course is above 1160 and maths above 190 in XII standard examination in aided section at Bishop Heber College. Then for the self-financing section, it is above 1000. All staffs and HOD mam principle all are very friendly to students. I like this college so much. Eligibility criteria for my course are the student must be a commerce student in class in higher secondary with accountancy as a major subject and should have completed his schooling in 10+2 system from any board of study. No particular entrance exam. Should have scored more than 90-95% in class 12 for admission in aided section. Eligibility criteria at Bishop Heber College were to secure 90% in mathematics in High school. Selection of application based on previous academic reports IIT JEE (2012)passed and appeared for Pondicherry University, Hyderabad university and madras university entrance exams 85%. At Bishop Heber College, the eligibility is a 12th-grade pass and there is no entrance exam conducted. The cutoff is based on 4 main subjects in commerce. I start for state board and finished 12th std and my cut off is 140 out of 200 and interested to join biotechnology so that Monthly fees 44000 and no entrance for my college. Eligibility criteria for getting into Bishop Heber College is 12th pass in PCM. There is no such entrance exam for admission in the college. Courses at Bishop Heber are given based on the marks. The candidate must have passed the 12th from a recognized institute. No entrance exam is conducted. Minimum 80% cutoff mark is required. They don't conduct any entrance exams for the admission.The college prefers students have secured 70% above with no standing arrears. The eligibility criteria at Bundelkhand University is to pass 12th std. with good marks. No, entrance exams are needed to get admission. Students with 60% and above in HSC 12th Standard are eligible to apply. A student should have qualified 12th class with 80% and above, there was no entrance exam. Eligibility to get admission is more than 80% in English in Higher secondary examinations. There is no entrance exam. I don't know how many typical cutoffs are there.